There’s something for everyone on Valentine’s DayTHE DECK SHOULD BE IN BENTON SANS COMPRESSED BOOK, AND PROBABLY CENTERED OVER THE THREE COLUMNS OF COPY. Love is in the air, and today is the BIG day! It’s a day for giving candy, flowers, chocolates, jewelry, perfume … and the list could go on. Some southern Ohio businesses have caught the love bug and have specials either on Valentine’s Day or the entire week, but the day is special to each one in its own way. Some of them are tremendously busy preparing, while others have prepared and have their goods up and going. 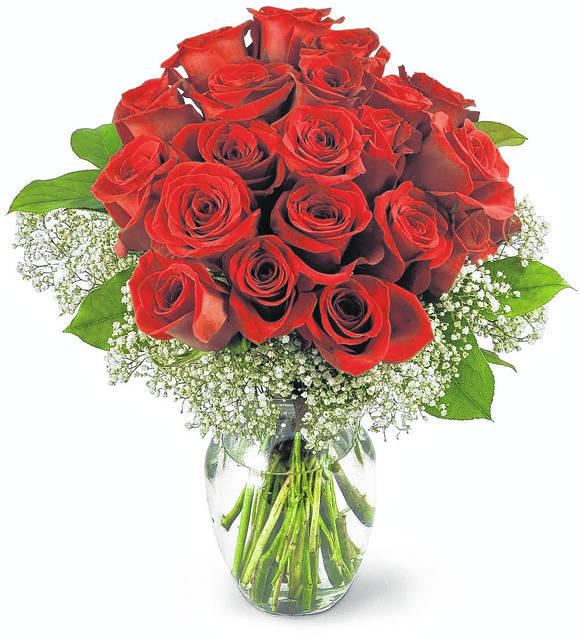 Think of places for Valentine’s Day, and the florist is probably first on the list. Lana Lore, manager for Colonial Florist in Wheelersburg, says they prepare for this every year. She says they will deliver several hundred items throughout the day today. She notes that they encourage people to do other days also, and that they have done quite a bit of business on Monday and Tuesday. All florists anticipate a big day for this particular holiday. A Kroger of Portsmouth representative said how busy the day will be is “more than I could possibly describe,” a sentiment probably true for most florist around the country this week. Morton’s Pharmacy in Portsmouth is running a special on its Scout bags. If you purchase one of the bags, you get a Hallmark card for free. The bags are of various styles and sizes. 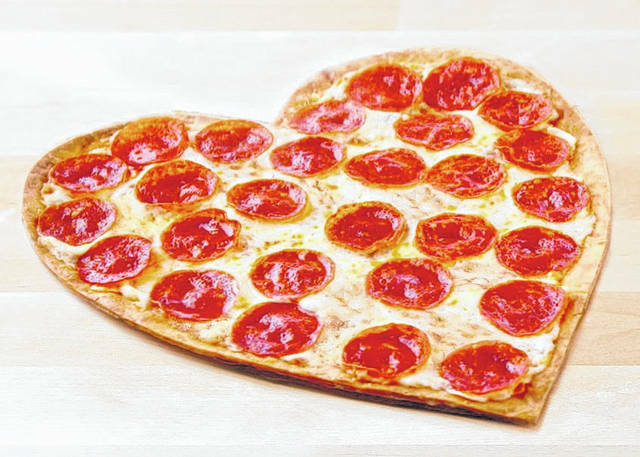 Blackburn’s Market in New Boston also offers a heart-shaped pizza, “We we have an 18-inch, one item [pizza], and this has been going from the 12th through the 15th,” Sarah says. Stephanie Bowling, owner of Masterwork’s Jewelry Studio, is running a special. 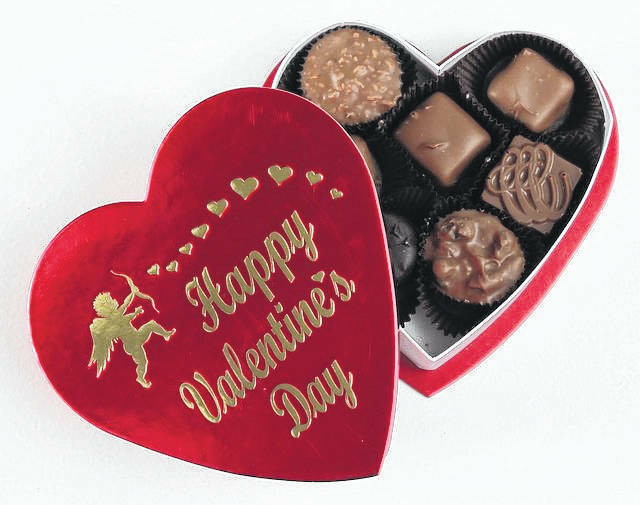 “If you spend $199 or more, you get a dozen roses, a box of chocolates and dinner for two at Sonora’s,” she says. This special ends Valentine’s Day. Whatever you might be seeking for that someone special or what you are expecting from that special person, there’s a variety of wonderful treasures from which to choose in the Portsmouth area. To be sure, everyone has their own idea of what Valentine’s Day means to them. Some are thrilled with what they receive, while others are sure to go down in disappointment. But don’t you just love that one special day of the year to celebrate red and pink hearts?